Discover your potential in our state of the art Trackman studio! Have full access to some of the finest golf courses across the globe from right here at Edenmore. 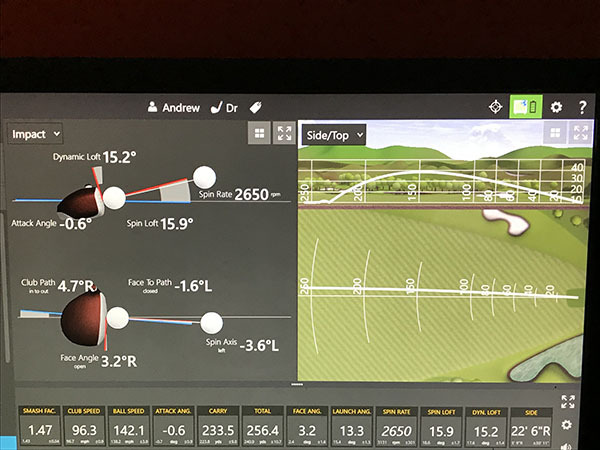 Analyse your swing and ball flight to the same level of PGA Tour winners and compete with your peers as part of the Trackman combine programme. Our studio is an approved Mizuno approved Fitting Centre for Northern Ireland. Group and corporate bookings and gift vouchers available.